WHAT IS A TRANSFRONTIER PARK? 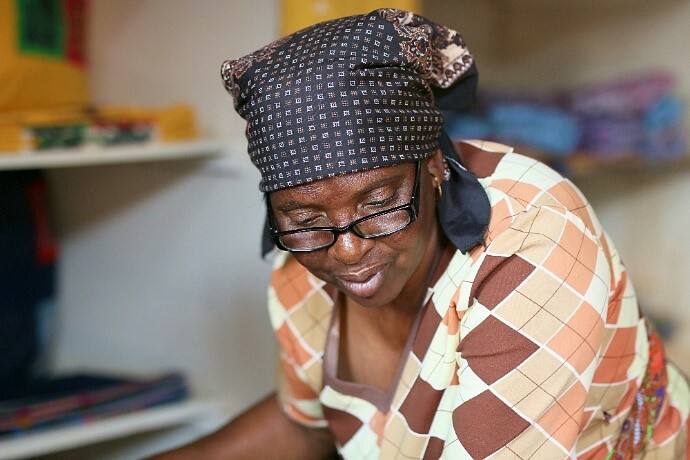 While the sun is streaming through the windows, Florence Ngobeni and her co-worker sit quietly on the floor working on a colourful batik-style zebra design. Her colleague next to her is painting a gecko and warthog design, while one of the other ladies is ironing some of the finished cloths. The small building is a hive of activity, but still somehow radiates total tranquillity. 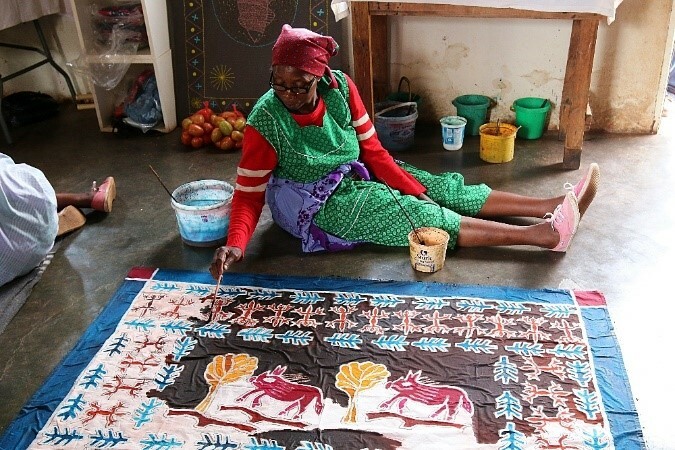 Twananani Textiles, one of the oldest stops on the Ribola Art Route, is a collective of 24 women creating batik-style cloth with Tsonga designs and symbols. 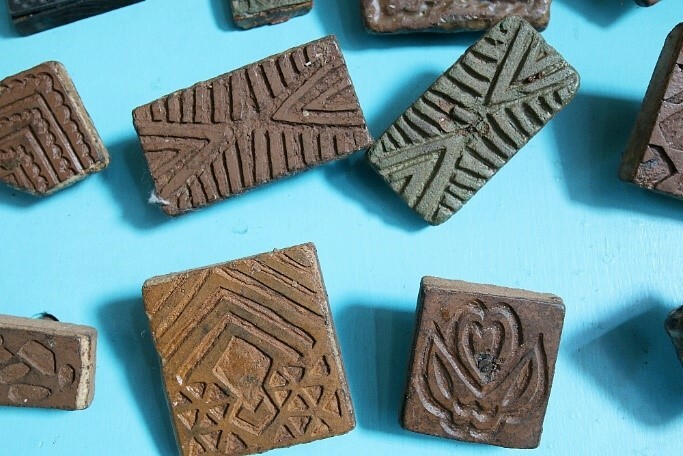 Some of the designs are traditional block prints inspired by the patterns used on the rondavels and surrounding decorative walls. 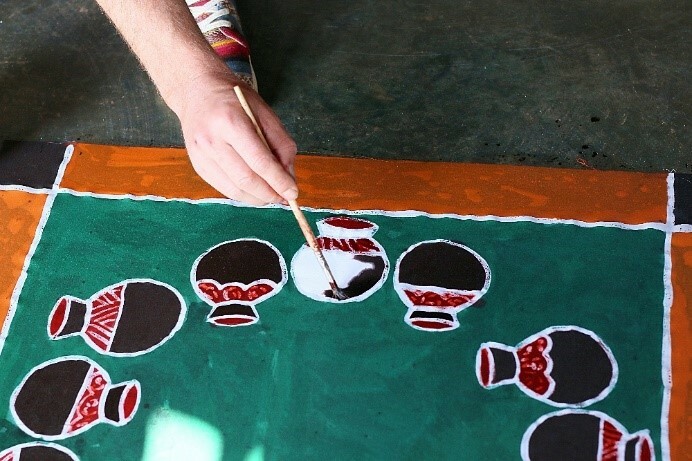 Other motives are hand-drawn or traced onto the cloth, outlined with hot wax and painted with bright, colourful dyes. 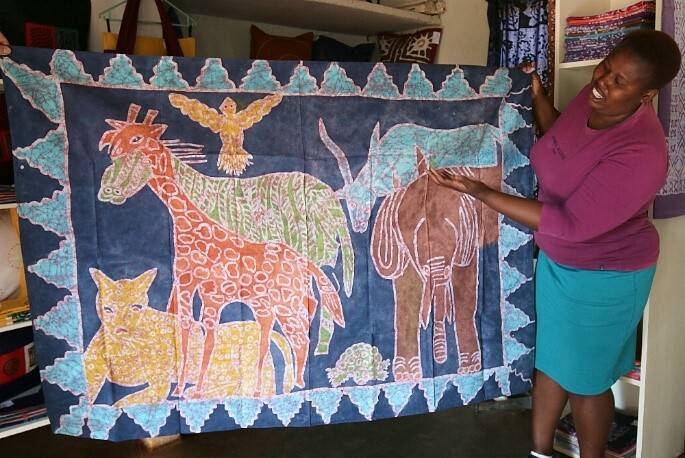 Florence proudly shows us some of the other designs – the one even more vibrant and intricate than the other – before she invites us to literally get our hands dirty and design our own batik-style small tablecloth. Luckily, the Twananani team is on-hand to help with the various stages of the batik creation, which is a wonderful way to connect with these talented ladies even though my language skills let me down. 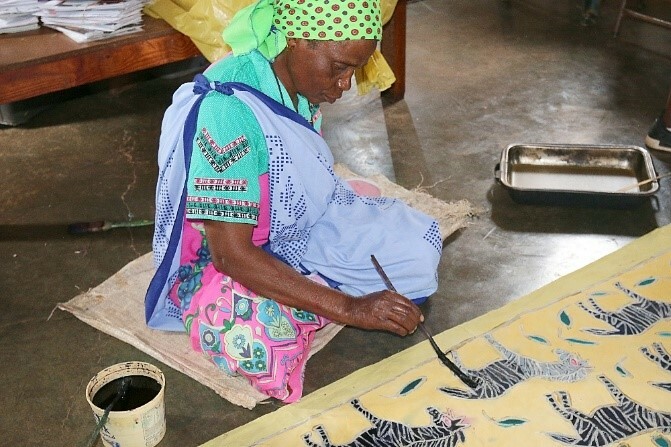 The experience not only gave me a renewed appreciation of the amount of work and skill involved in making these gorgeous batiks, but it was so much fun too. I would have happily stayed for the rest of the day, keeping those creative juices flowing, and just hang out with these beautiful souls. When was the last time you allowed yourself to spend time to sit peacefully and be creative? Unfortunately, in our modern world we have this strange urge to fill every minute of the day checking our electronic devices, discovering our artistic side is something we don’t do often enough. 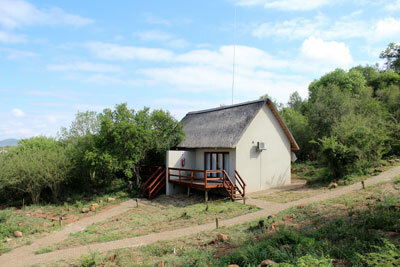 Visitors to Twananani Textiles and the Ribola Art Route are invited to stay at Nahakwe Lodge.